The following is written by BJ Booth of UFO Casebook, and is used here, with permission. It can not be reproduced in any way without permission. The authenticity of UFO cases is usually judged by the respectability of its reporters, especially those dealing with abductions. That being the case, the report of an extraordinary series of events from three women from Stanford, Kentucky is highly regarded. 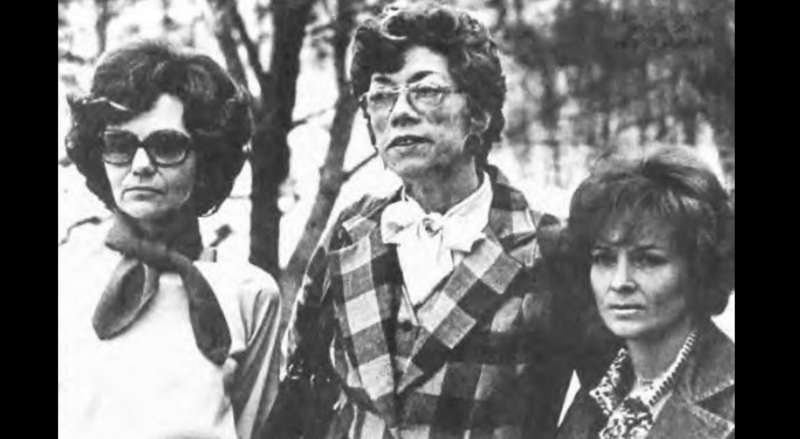 It would be on January, 6, 1976 that Mona Stafford, Louise Smith, and Elaine Thomas would have a terrifying experience with a UFO and alien beings. 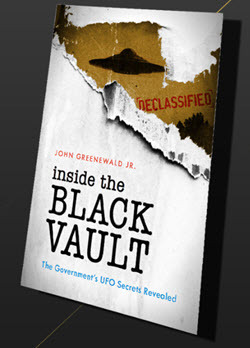 The added strength of a well-conducted investigation make this one of the most quoted events in UFO annals world-wide. This report would include not only abduction, but other validating sightings, physical evidence, animal reaction, and electromagnetic effects. Not only was this case fully reported and researched, it was followed up on; determining the long-range effects on the health and lives of these three well-regarded women. January 6 was Mona Stafford’s 36th birthday. She was joined by her best friends Louise Smith and Elaine Thomas to celebrate the event, and just have a friendly dinner together. The three good friends took their dinner plans to the Redwood restaurant, which was located south of Lancaster, Kentucky on U.S. 27, thirty-five miles from their hometown of Liberty. As the three finished their dinner, they started what they thought would be a nice, pleasant drive back to their houses. Little did they know what lie in store for them in what would be a night they would never… could never forget. As the began journey, it was 38 degrees, with a south wind of 15 mph, and a visibility of 15 miles. Leaving the Redwood eatery at 11:15, the three women were in a jovial mood as Louise Smith sat behind the wheel of her 1967 Chevy Nova. It should be noted that none of the three had any beer or liquor to drink that night. Leaving Stanford and heading for Hustonville on Highway 78, the three suddenly see a “bright, red” object in the clear, night sky. The little Chevy was now going 85 mph, a speed never traveled before by Smith. In a panic, she cries, “I can’t hold the car on the road.”Mona reaches over and tries to help her, thinking that something is wrong with the steering, but she cannot control it either. The car continued its high rate of speed without deviation. Later, Louise would state, “My foot wasn’t even on the gas pedal.” In a moment, the unknown object was frighteningly close to the Chevy. It followed from behind for a short time, then flipped on its end, coming extremely close to the driver side. All three women would later recall the same thing. What they were looking at was an enormous, metallic, disc-shaped object with a dome on top, and a ring of red lights around its midsection. The women all saw it close enough to see a yellow, blinking light on its underbelly. The entry was flanked on both sides by an old stone wall. One hour and 20 minutes later, the three found themselves back in the little Chevy, again driving toward Liberty. They were shaken and tense with exposed areas of flesh; painful from the burns. The three frightened and scared ladies finally arrived at Mrs. Smith’s home, and when they entered they noticed that the clock in the kitchen showed 1:20 A.M., confirming the trip of 35 miles had taken just over two hours. Normally it took about 45 minutes. They immediately went to the house of their neighbor, Lowell Lee, who confirmed the time loss. Confused as to what to do next, they called the Police station. The next day, they phoned the Navy recruiting station. Neither of the two calls afforded them any aid. The Navy station did give some of the details of the event to a Lexington TV station. The story quickly reached the press, and was given headline status. MUFON (Mutual UFO Network) investigator Jerry Black heard the story of the event, and immediately went to work to gain more details. Black called the three women, and asked for an interview, but Smith, Stafford, and Thomas were reluctant at first to relive the event, or to have strangers in their homes. After more phone calls, and the offering of his sympathy and compassion for their experience, the three witnesses agreed to an interview. Also, Black invited Mrs. Peggy Schnell of Blanchester, Ohio to attend. She also had experience with these kinds of cases. Black felt that the three would feel more comfortable with a feminine presence. The first meeting was more or less an ice-breaking session, but several very important facts were revealed. Black stated that the three women were all obviously in physical pain, they all were chain-smoking, which they attributed to the experience. They had an insatiable thirst, and all claimed excessive weight loss since the event.The three women gave some details of their observations of the UFO; its structure, and its behavior. Naturally there were some psychological problems in the aftermath of their experiences. Mrs. Smith was having difficulties in performing her everyday duties as an assistant for the Casey County Extension Office. Mrs. Stafford was not only suffering from an eye inflammation, she was desperate to know what happened during the missing time. The three women were assured that they would be able to undergo regressive hypnosis, and uncover their missing time, therefore alleviating some, if not all of their emotional stress. Several things were evident to the investigators at this first meeting. The three women witnesses were sincere about what they had experienced, they were suffering from the so-called “beam,” and there were obvious physical scars from the encounter. Smith lifted her hair up, and showed a mark on the nape of her neck. It was a roundish, pinkish-gray blotch, the size of a half-dollar. Another unusual revelation that came from this meeting was the strange reaction of Mrs. Smith’s parakeet. When Smith first arrived home after her experience, instead of her usual happy greeting, she received a frightening reaction from the bird. It flew into the side of its cage, and fluttered its wings in a wild display of fear. Smith proclaimed that since the first night home, her pet had not had a thing to do with her. Did the sixth sense of the parakeet acknowledge some “unearthly” aura from Smith? Further tests were conducted in the presence of other birds, and when other people drew near, the birds were perfectly normal, but when Mrs. Smith came close, they too panicked. Her pet died in March 1976. This uncanny reaction was not the only one to come from Smith’s presence. The minute hand of the wrist watch that Smith wore began to rapidly spin around its dial. Also, the next week after the sighting when she touched her bedroom alarm clock, it quit working. Frustrated, she threw the clock away. Another quirky problem was noticed when Louise’s car developed electrical problems. Driving to work, she was stopped by Police who informed her that the signal lights were not working. The most annoying problem of all was the general ill health and weakness of the three unwilling witnesses of this extraordinary event. Because of this, investigators agreed that, at least for the time being, no other details of the event be released. Walter Andrus of MUFON, and Dr. J. Allen Hynek of CUFOS, were both informed of the case, and both agreed to wait for details until the three women were in better condition. After the initial interviews, the investigators involved were convinced that the three women’s story was disturbing, yet solid as could be. The value of this event would be historical, and though difficult, those involved had to use all of their patience to keep the dark secrets of that night to themselves, until a later time. There was no doubt in anyone’s mind that these three well-respected, mature, and sane women had seen something not in our knowledge to understand, and that there was missing time that had to be explored. An abduction was on the minds of the principal investigators. Dr. Hynek was called upon to provide a professional psychiatrist to perform regressive hypnosis on the three. Unfortunately, lack of funding was a big part of the decision as to who to call upon. None of the noted doctors lived anywhere near the state of Kentucky. Dr. Berthold Schwarz was contacted first, but because of his tight schedule, was not able to make the trip. 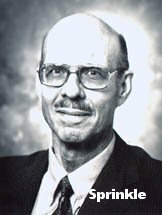 Also well-respected ufologist and physician, Dr. Leo Sprinkle was considered. Sprinkle was consultant to APRO, but he was not called because he lived in Wyoming. In a stroke of good fortune, Dr. Sprinkle heard of this case, and dropped everything to go to Kentucky. When Smith, Stafford, and Thomas were contacted about Sprinkle’s desire to help them, they refused, not knowing of Sprinkle’s reputation. At this time, the three women, though needing help, were still under the impression that in time their problems would pass, and to involve more and more people in the story would only prolong the agony. The three women had heard of Jim and Coral Lorenzen of APRO, and this well-respected husband and wife team were called in to try to ease the fears of the story being released nationally. A promise was made to the three ladies that the regressive hypnosis procedure and its results would NOT be released to any of the UFO groups for publication until a time that they felt comfortable with it. An agreement was made! A date was set for the regressive hypnosis; March 7, 1976. Dr. Sprinkle, Black, Schnell, and others were all present for the initial session. All of those in attendance reaffirmed their good intentions of keeping the wraps on the story until the three women authorized its release. At this time, only one of three would consent to the hypnosis, Mrs. Stafford. A silence feel across the room as Dr. Sprinkle began his methodical, professional way of easing Stafford’s fear. In a slow, cautious manner, Stafford began to recall the events of her night of terror. She was able to relive her interpretation of seeing what she thought was an airplane crashing. She was not able to go any further at this first session, as tears rolled down her cheeks and exhaustion set in. After the session, Dr. Sprinkle stated that Stafford was still in a posthypnotic state, and that she should be questioned very carefully and cautiously. After the first hypnosis, Black continued to ask questions of Louise and Elaine. Mona moved away from the others to rest. Another interviewer began to show Stafford some drawings of aliens. The word, “alien” had not been mentioned in the case before this time, out of respect to the three, and also to not coach in any way. Mona sat and silently looked at the pictures, and then in a dramatic fashion, she proclaimed, “This looks like the light I saw…It was shaped like that head!” pointing to a specific alien. At this time, she had remembered all she could, but that was more than enough. A major breakthrough had occurred, the time lapse barrier had been breached. There was now no doubt that an abduction had taken place! Dr. Sprinkle was notified the next day of the revelations from Mona, and was sent the alien picture she identified. Her statements were logged, and sent along also. There would be a lapse in the investigation at this point. Several months went by without probing any deeper into the hidden facts of the case. Investigators did keep in constant touch with the three women, albeit, in a friendly fashion, careful not to push them too soon. The three were still locked in fear, their physical problems continued, and so did the weight loss. Drs. Sprinkle and Hynek, all the while, were still dealing with the problem of funds, and trying to find a solution to helping the three ladies. Also investigators were constantly being prodded for more information on the Stanford case, and as per their agreement, they refused to release any information. While others involved in the case were still trying to find solutions for the financial shortfall, it would be investigator Black who would find a solution. After lengthy discussions with the National Enquirer, he had struck an agreement with the tabloid. The Enquirer would finance a return trip for Dr. Sprinkle to complete his regressive hypnosis, and lie-detector tests would be conducted. If the results would verify an abduction, the Enquirer would have exclusive rights to publishing the story. Also, the three women would receive compensation. 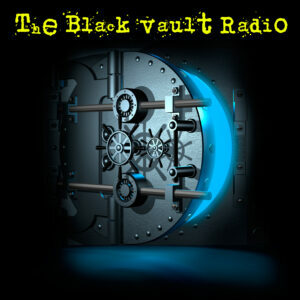 Black made the move because of concern to the health of the three women, and also to accumulate facts for the benefit of UFO research groups. There was renewed optimism with the Enquirer deal, and there was hope that the hidden facts of that night would soon be uncovered. The next hypnosis session was scheduled for the Brown Motel in Liberty, Kentucky on June 23, 1976. Newly present at this meeting was well-known UFO investigator Bob Pratt of the Enquirer. Though the reputation of the Enquirer left much to be desired, Pratt himself was regarded as an honest, sincere man. Pratt had earlier attempted to get details of the Stanford case, but was denied access because of the earlier agreement of a news blackout. The first order of business on this day would be the lie-detector testing. A detective for the Lexington Police Department, James Young was hired to head the polygraph part of the session. Recognized as an expert in the field, Young began his testing of the three women, all done privately for each of the three. Young was actually a great choice for the sessions, because he was a skeptic as far as UFO stories went. The tests themselves were lengthy, leaving no room for anything but a conclusive result, whether good or bad. 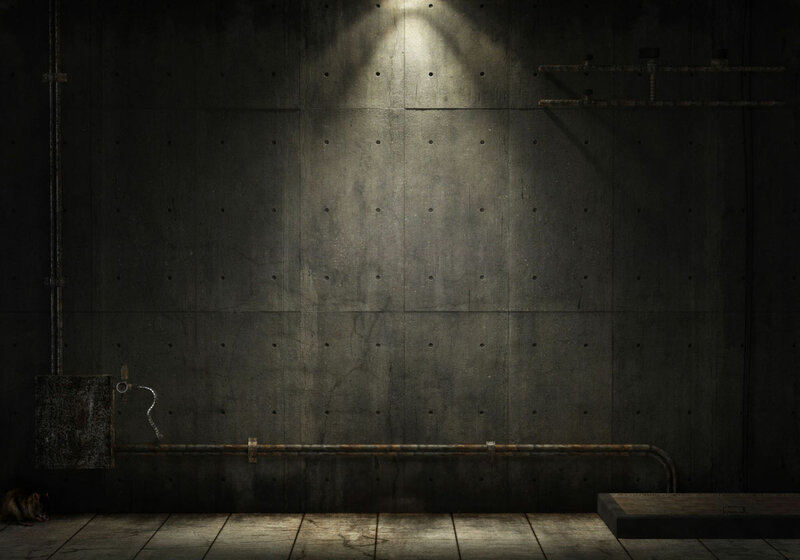 After the tests were all completed, Young emerged from the room with an expression of utter amazement. All three of the women had “breezed through” their tests without a hint of deception. To his credit, Young was man enough to admit that his earlier prejudices were completely erased after the testing of the three women. Next would come Dr. Sprinkle’s hypnotic session. Sprinkle would first put Mrs. Smith under the evening of the lie-detector testing. The next day, all three would undergo regression, with each woman having two sessions. During the regressions, the faces of the three women showed the emotional turmoil they were enduring. The details of what occurred on that harrowing night came slowly… hauntingly… painfully. Some of the most fearful moments of their abduction were displayed by painful body contortions and movements. All of the details revealed in this article were observed by an eyewitness of the entire procedure, whose credibility is beyond question. All of the women were taken aboard some type of craft, and subjected to physical examinations, sometimes harsh in nature, sometimes tortuous. There was not any sexual molestation during the abduction, but they were restrained in embarrassing, humiliating positions. Mrs. Smith would reveal that her exam took place on a table; Mrs. Thomas’ was inside of a capsule with an unusual looking noose-like device around her neck, which tightened painfully if she tried to speak. Mrs. Stafford’s exam was in a chair-like device. All of the abductees recalled having their bodies scanned, and instruments used which exerted pressure on their limbs. Mrs. Thomas recalled a tube with a bullet-like tip on it, which probed her chest, and she also recalled a warm liquid being applied to her face and body. Mrs. Stafford also recalled the warm liquid. The sessions brought out other details as well. The characteristics of the alien forms themselves seemed to be vague, and often indescribable. All three related “shadowy figures,” which floated or glided by them. They also recalled the frightening “one eye” or “two eyes,” which also hovered over them. Mrs. Stafford made an unusual statement in describing an eye exam; “I could see a light at the end of a tunnel, which looked like a volcano with a jagged edge.” At this point, she described great pain in her eyes, “… Just like they’ve been pulled out.” Mona recalled a single bright purple eye that radiated lightning-like rays. Elaine also joined the other two in describing the strange events. She remembered “two-eyes” from a round head in a deep darkness. One eye, she said, was a “beautiful blue,” encircled by a blue membranous lid, like a turtle, and the other eye appeared dark. One fact that all three agreed on was that the humanoids communicated with them by telepathy. Not once was an entity mentioned to have any type of mouth. Some interesting facts about the craft itself were revealed by Mona Stafford, when asked to elaborate on her description of the tunnel or volcano. 1) The three women had encountered a flying craft of unknown origin. 2) They had been abducted by beings unknown. In all cases, no matter how believable, it always helps if other witnesses come forward. This case also had other observers of the UFO that night, independent of Stafford, Smith, and Thomas. These sightings occurred in Casey and Lincoln counties, Kentucky. Within a couple of hundred yards of the abduction, one couple watched from the window of their home a “large, luminous object,” which passed over the Stanford area. This occurred about 11:30 P.M. The couple wanted to remain anonymous. Other observers reported also, describing a ring of “reddish orange” lights around a disc-shaped flying object. Two teenagers, out for a joy ride, stated that they chased a low-flying UFO after it had hovered over the Angel Manufacturing Plant in Stanford. They chased the strange object all the way to Danville, and there they reported the object to Police. Another very significant report came from the owner of the property where the three women’s abduction took place. The farmer stated that “down the road” from his house, he witnessed an unusually low-flying object which shot a white beam of light to the ground. Could this have been the precise time of the abduction itself? Although over 30 years have elapsed since the Stanford case, there has been not one negative comment on the details presented by Mona Stafford, Louise Smith, or Elaine Thomas. 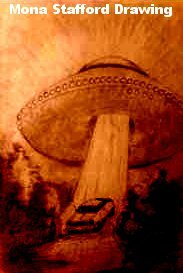 The Stanford, Kentucky abduction is still considered one of the best documented abduction cases in UFO history. The February first issue of the Kentucky Advocate, published at Danville, Kentucky, carried an article pertaining to UFO sightings in that general area, among which was the story told by Ms. Louise Smith, Ms. Mona Stafford and Mrs. Elaine Thomas about their drive home to Liberty from a late dinner at the Redwoods restaurant located five miles north of Stanford. The ladies said that at a point about one mile south of Stanford, they saw a huge disc-shaped object which was metallic gray with a white glowing dome. A row of red lights rotated around the middle and underneath were three or four red and yellow lights that burned steadily. A bluish beam of light issued from the bottom. The newspaper did not carry a lot of detail but it was mentioned that when the women arrived home in Liberty, it was 1:25 a.m. Having left the restaurant at 11:15 p.m., they should have arrived home by midnight, indicating that there was a time loss of about one hour and 25 minutes. The Kentucky Advocate article was forwarded to APRO by Field Investigator Bill Terry but meanwhile he put in a telephone call and asked if we felt the case was good enough for him to make the necessary 60 mile trip to talk to the ladies. After he had read the pertinent information, Mrs. Lorenzen said she thought it would be well worth the trip. A few days later he called back and told Headquarters he thought it was a case of abduction, and that the usual hypnosis procedures should be utilized. A call was put in to Dr. R. Leo Sprinkle, APRO’s consultant in psychology and he was asked to travel to Liberty to interview the women and possibly use hypnotic procedures to relieve their anxiety and obtain any repressed information. Headquarters learned that his first free weekend for the trip would be the weekend of the 6th and 7th of March. We will here relate the information obtained by our investigation and later explain why this report has not been published until now. It is important to note that although Mrs. Smith and Mrs. Thomas had known each other for many years, and Mrs. Stafford had known Mrs. Thomas for some time, Mrs. Smith had only gotten acquainted with Mona a few weeks previously. On the evening in question, Mrs. Smith left work at the usual time and went home. She is employed as an extension assistant for the Casey County Extension Office where her duties consist of visiting families in the county, counseling them in food perparation and preservation, nutrition and gardening. She fixed herself a sandwich and soup, which she ate, then got into her 1967 Chevrolet which she had just purchased that day and drove to a service station to get gas in preparation for the next day. While at the service station, Mona Stafford, who was driving by, spotted Louise’s car, pulled her car into the station, whereupon Mrs. Smith asked her if she would come home with her and help her put the collar on a jacket she was making, as she was having trouble fitting it. The two ladies, each in her own car, drove to the Smith trailer home and set about the task. At about 8 p.m., Mrs. Thomas dropped by and the three lapsed into conversation about their favorite subject: art. Mrs. Stafford had planned to go to her sister’s home to have her hair done and at about 9 p.m. said she’d better call her sister because it was getting late and besides, it was her (Mona’s) birthday. When Mrs. Smith learned about the birthday, she suggested that they al! go over to the Redwoods for a late dinner and a sort of birthday celebration. Also, there was a painting on the wall of the restaurant which she had wanted to sketch. The restaurant, incidentally, is the only restaurant open at that time of night in that area. The three drove the 29 miles to the restaurant, had their dinner and then pulled out sketch pads and went to work. A man at the restaurant asked Mrs. Smith to sketch him, which she did, and then she realized it was getting late, so the three paid their checks and left. Mrs. Smith drove, Mona sat in the middle of the front seat, with Mrs. Thomas on her right by the passenger window. After Mona spotted the object, which was descending from their right to the left, she asked Louise to speed up as she thought it was a plane about to crash and she wanted to help any survivors. Mrs. Smith saw it clearly, but Mrs. Thomas didn’t see it until it had stopped at treetop level at what they estimated to be one hundred yards ahead of them. All of the women said the object was huge, Louise describing it as “as big as a football field,” while Mrs. Stafford said it was at least as large as two houses. Mrs. Smith said that the object rocked gently for perhaps two seconds, at which time she estimated its size, for it extended beyond the edges of the road and over the fields on both sides. Then the thing moved across the road to their left, circling behind and above some houses, and then apparently came back to the highway and swung in behind the car. Then, the women said, they saw a strange, wide, lighted road stretching as far as they could see ahead of them. At the same moment Mona noted a red light come on on the instrument panel which indicated that the engine had stalled, despite the sensation that they were moving very fast. At what seemed to be a split second later the women saw a street light ahead and realized that they were coming into HustonviHe, a full eight miles beyond where they had encountered the strange aircraft. They wondered among themselves how they had gotten there so fast, then became quiet while they proceeded on into Liberty. When they arrived at Mrs. Smith’s trailer, they ail went inside. Mrs. Smith went into the bathroom, took off her glasses and splashed water on her face, whereupon her hands and face began to burn with searing pain. All three had a red mark on the backs of their necks, measuring about three inches long and one inch wide, with clearly defined edges, giving the appearance of a new burn before it blisters. Louise and Elaine’s marks were centrally located between the bases of their skulls and the top of the back, whereas Mona’s was located to the ieft, behind her ear. They could not account for the marks, which disappeared two days later. All three were experiencing burning and tearing of their eyes, but Mona Stafford had a much more severe case of conjunctiveitis (an inflammation of the conjunctiva membrane of the eyes). Prior to washing her hands, Louise had taken off her watch and was startled to see that the hands of her watch were moving at an accelerated rate of speed, the minute hand moving at the speed of a second hand, and the hour hand was moving also. Upon experiencing the pain of the water on her hands and face she forgot about the phenomena of the watch and does not recall when it returned to normal or when she reset it. Concluding that something was wrong, the three ladies went next door to the home of Mr. Lowell Lee, and told him what they had seen. He asked them to go into separate rooms and sketch the object and when finished, he found the resulting sketches to be almost identical. Although all the women had trouble with their eyes, only Mona Stafford sought medical help, as her problem was so severe. The doctor who examined her found no explanation for the pain and tearing but gave her some eye drops which helped very little. Bill Terry found out that all three of the women enjoy good reputations. Mrs. Smith, 44, is a tall, thin woman of 44 years who was widowed when a young woman and brought up her son and daughter by herself. She has two grandchildren and busies herself in her spare time with painting and sketching and gospel singing. She performs around Casey county with the Jubilee Echoes, consisting of herself, a 14-year-old boy singer and a bassist who is a police lieutenant in Danville. She is a lifelong member of the Baptist church and attends services regularly at the Poplar Springs Baptist Church in Liberty. Inquiries to such people as police personnel, her minister and employer, elicited only good comments. Several weeks after her experience she had lost 28Vi of her normal weight of 125Vi pounds. Mona Stafford is 35, the former owner of an arts and crafts shop in Liberty and currently unumployed except for secretarial work which she does for her father, who owns a mobile trailer park. She was once married but has been divorced since 1970 and lives in a trailer home parked near her parents’ home. She is a devout Christian, a member of the Hilltop Church of Christ near Liberty. She also lost weight amounting to 17 pounds but at this writing had regained 7. Elaine Thomas is a 48 year-old-housewife who has lived in Casey County, Kentucky all of her life. She and her husband Otis live several miles out of Liberty. They have a grown daughter and three grandchildren. Mrs. Thomas is also a lifelong churchgoer and is a member of the Contown Church of Christ. The foregoing information indicated to APRO’s staff that the women were of good reputation, sincere, honest, and had no motivation to concoct a story so we proceeded with the investigation. It is at this juncture that we will explain the tardiness of the publication of this case. Bill Terry met Dr. Sprinkle upon his arrival and the two proceeded to Mrs. Smith’s home. They were met with a conglommeration of investigators from CUFOS and MUFON, who felt that they were “first” on the case and that APRO should not be allowed to enter. (They had preceded Mr. Terry to the Liberty site by only one day). Sprinkle, being a gentleman and a scholar did not want to intrude, and it was finally decided to call APRO Headquarters for an opinion. Mr. Lorenzen talked to Len Stringfield of CUFOS and MUFON who wanted to use the services of Dr. Sprinkle but did not want the report to be sent to APRO. Mrs. Lorenzen pointed out that she had written a book (Encounters with UFO Occupants) specifically so that the proceeds would furnish APRO with the wherewithal to conduct such investigations, and that not only was APRO’s money (air fare and expenses for Dr. Sprinkle) wasted, but Dr. Sprinkle’s time away from his family was wasted as well. It was finally decided that Dr. Sprinkle would conduct the hypnotic sessions but that there would have to be a mutual agreement concerning the release of the story. Also, during meetings before Sprinkle’s arrival, some representative of MUFON or CUFOS had told Mrs. Smith (she doesn’t recall who) that the ladies should be careful about having anything to do with APRO because “they would call in the National Enquirer” and they would receive much unwanted publicity. Later, in a letter from Jerry Black, a MUFON investigator and, consequently, a CUFOS investigator, suggested that the ladies contact the National Enquirer about their experience, which was a surprise considering their reluctance to have anything to do with that paper if APRO was on the case. At any rate, it was for this reason, after the waste of several huhdred dollars, APRO was unable to complete the case. Then, after the National Enquirer contacted the ladies, Dr. Sprinkle, because of his participation in the “Blue Ribbon Panel” of National Enquirer experts, was called upon to go back to Liberty and regress the women. His report of the weekend of March 6 and 7 is quite sketchy except for his characterization of the three women as reliable, sincere, etc., because Saturday was largely wasted in quibbling about who should have “control of the case.” Incidentally, the MUFON people wanted to make use of Sprinkle’s expertise, “as long as he was there.” But they admitted they neither had the consultants nor the funds to send in someone expert in hypnotic techniques to carry out the trance sessions. On the 23rd of July, under the National Enquirer’s aegis, a polygraph test was conducted on the three ladies, and James C. Young reported, in each case, that it was his opinion, based upon the polygraph examinations, thai: the ladies believed they were telling the truth to the listed questions. Mr. Young makes a very good point, that being that interviewers showing sketches of UFO types to a witness before they make their own renderings of what they saw, is highly suggestive, as is the display of any drawings of occupants. This apparently was done by MUFON representatives prior to the polygraph test or the trance hypnosis carried out by Dr. Sprinkle on the next day, the 24th of July. APRO has a complete transcript of the trance sessions which have been examined by the staff. While Robert Pratt of the Enquirer, and Dr. Sprinkle, who has had extensive experience in this phase of UFO research, were careful not to lead the subjects, some very suggestive or leading questions were asked by Mr. Stringfield and Mr. Black of MUFON. It is just such errors that the skeptics will leap upon in attempts to discredit the investigative procedures or reliability of witness testimony in such cases. We would like very much to quote in polygraph tests and the hypnotic trance sessions, but space will not allow us to do so. Therefore, we summarize Dr. Sprinkle’s findings from the hypnotic sessions. “. . .Mrs. Smith suffered much as she relived the experience. The behaviors, e.g., weeping, moaning, tossing her head, shuddering, and shaking, etc., were evident to those of us who observed her. especially as she seemed to “relive” an experience of a fluid material covering her face. Her smile, and evident relief in “seeing the street light” at the end of her hour and one-half loss-of-time experience was dramatic and indicated that she was “safe” in the car, once again, and returning home with her friends.” Sprinkle then goes on to recount Louise’s claim that her pet parakeet, who, according to her claims and the claims of others who observed the bird, refused to have anything to do with her after the UFO experience. Others could approach the bird and it would not react wildly; however, whenever Louise came close to the bird, the bird would flutter and move away from her. The bird died within weeks after the UFO experience. Mona Stafford. . .”responded well to the hypnotic suggestions and she was able to describe impressions which led her to believe that she had been taken out of the car, and that she was alone on a white table or bed. she saw a large “eye” which seemed to be observing her. She felt as if a bright white light was shining on her and that there was “power” or energy which transfixed her and held her to the table or bed. She experienced a variety of physiological reactions, including the impressions that her right arm was pinned or fastened; her left leg forced back under her, with pain to the ankle and foot; pressure on the fingers of the left hand, as if they were forced or squeezed in some way; a feeling of being examined by four or five short humanoids who sat around in “surgical masks” and “surgical garments” while observing her. At one point, she sensed that she was either experiencing out-of-the body travel, or else she was waiting outside of a large room in which she could view another person, probably a woman, lying on a white bed or observation table. She perceived a long tunnel, or a view of the sky, as if she had been transported to an area inside a large mountain or volcano. Although, she wept and moaned and experienced a great deal of fatigue as a result of the “reliving” of the experience, she felt better the next day; she expressed the belief to me that she now had a better understanding of what happened during the loss-of-time experience. others, she has lost weight, but she has also experienced some personality changes. She dresses a bit more colorfully now, and she is more willing to talk and to share her ideas with others. She, too, experienced a similar reaction during the hypnotic techniques: she apparently was responding well to suggestions to go deeper; when she “relived” the UFO experience, she experienced a great deal of emotional reaction. Her main impression was that she was taken away from her two friends, and that she was placed in a “chamber” with a window on the side. She seemed to recall figures which moved back and forth in front of the window of the chamber as if she were being observed. Her impression was that the observers were four-foot-tall humanoids, with dark eyes, and grey skin. One disturbing aspect of the experience was the memory that she had some kind of contraption or “covering” that was placed around her neck; whenever she tried to speak, or think, the contraption or “covering” was tightened, and she experienced a choking sensation during these moments. At first, Mrs. Thomas interpreted the memories as indication that she was being choked by hands or that she was being prevented from calling out to her friends; later, however, she came to the tentative conclusion that an experiment was being conducted, and the experiment was to learn more about her intellectual and emotional processes. She recalled a “bullet-shaped” object, about an inch and one haif in diameter, being placed on her left chest; she previously had experienced pain and a red spot at that location. “In my opinion, each woman is describing a “real” experience, and they are using their intelligence and perceptivity as accurately as possible in order to describe the impressions which they obtained during the hypnotic regressions session. Although there is uncertainty about their impressions, especially in regard to how each person could be transported out of the car and relocated in the car, the im pressions during the “loss of time” experience are similar to those of other UFO witnesses who apparently have experienced an abduction and examination during their UFO sighting. “Although it is not possible to claim absolutely that a physical examination and abduction has taken place, I believe that the tentative hypothesis of abduction and examination is the best hypothesis to explain the apparent loss-of-time experience, the apparent physical and emotional reactions of the witnesses to the UFO sighting: the anxiety and the reactions of the witnesses to their experiences which have occurred after their UFO sighting. An interesting subsequent event is the concern of the women that they were “re-experiencing” the physical symptoms which had been experienced for several days following the January 1976 sightings. . . .When I called them on July 26th, the women said that they were re-experiencing some of the same kinds of symptoms, e.g., fatigue, listlessness, sensitivity to skin, burning feeling on the face and eyes, fluid discharge, etc. “I tried to reassure the ladies that it is not an uncommon experience in hypnotic regression that persons — after “reliving” earlier emotional experiences — may re-experience some of the symptoms which accompany those emotional reactions. “In my opinion, the UFO experiences of these women are a good example of the type of apparent abduction and examination which seems to be occurring to more UFO witnesses. I believe that the investigation could be continued with the hopes of obtaining further information about their experiences. However, the present evidence suggests to me that the women have cooperated sincerely and openly in describing their reactions to their UFO sighting and loss-of-time experience, and the polygraph examination and hypnotic regression sessions have been useful in uncovering their impressions of the UFO sighting and subsequent events. Dr. Sprinkle alludes to “subsequent events.” Conversations with Mrs. Smith since the regressive hypnotic sessions took place yielded two very interesting bits of information: Mrs. Stafford had been having trouble sleeping, would not stay home, and would go to her parents’ home or that of a friend, and curl up on the floor to sleep. She also has said repeatedly that she would not live “to see another birthday.” Hopefully this is only a fear and not a portent of things to come. Also, in the fall of 1976, Mrs. Smith was overcome by an inexplicable urge to go back to the scene of the original sighting. On August 1 she did return to ihfi.site-, got out of her tar, and “heard” the words: “feel of your hands.”When she did so, she realized that three rings, which she habitually wore, a small gold ring, a pearl ring, and a gold ring with onyx and a small diamond, were gone. On the 26th of September, Mrs. Smith walked out onto the stoop of her trailer home and found the onyx and diamond ring lying there. For some inexplicable reason, she scooped up the ring, walked to the creek which runs by her home, and threw it into the water. This, then, is the entire story of the Kentucky abduction. At last contact with Mrs. Lorenzen by telephone, Mrs. Smith intimated that she was beginning to have recall of the whole experience, and asked that Mrs. Lorenzen not divulge the details as she was writing a book about the experience. We appreciate Mrs. Smith’s desires, and will not comment on further information learned from her until such time as the book is published.